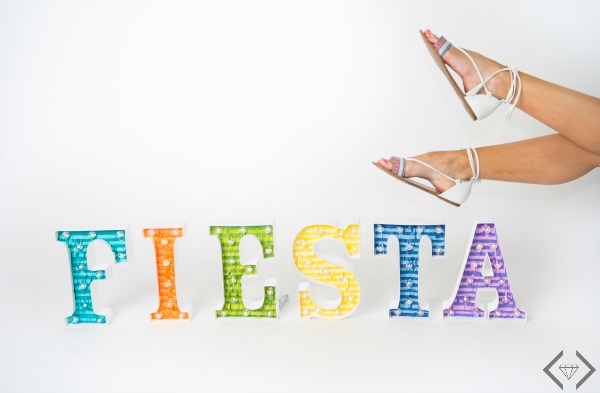 Spring Trends in Sandals & a Sweet Deal! Oh warm weather and the joy of sandals! I have been looking forward to the warmer weather all winter long so I could finally but the boots away and break out the sandals. This Spring I will be shopping for some flat sandals, some wedges, and some cute heeled sandals for a big night out! The trends are constantly changing each year when it comes to shoes. 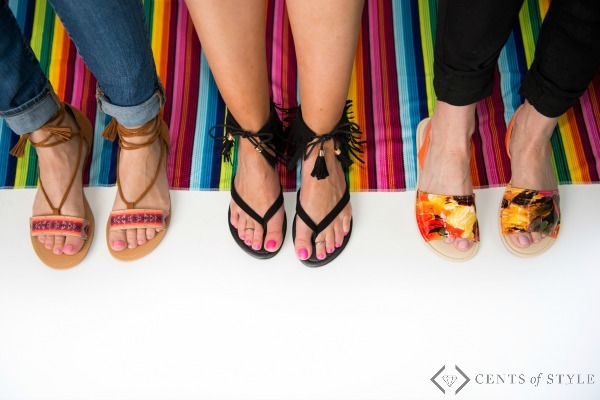 Here are some of my favorite spring trends for sandals! Be sure to read on to the bottom of this post to see how you can score any (Or ALL of Them!) at 35% OFF + Get FREE Shipping! Lace up shoes were a big hit this past fall season and the trend has now made it’s way into a summer version. Lace up sandals give interest to the ankle and pair perfectly with shorts, skirts, and ankle jeans. When it comes to sandals, it’s all in the details. 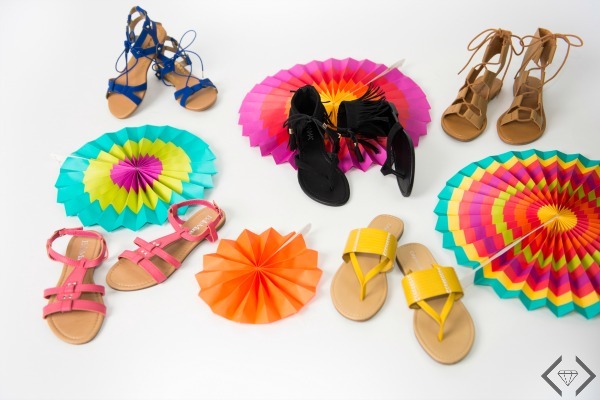 Fringed Strap Ends, patterned sandal designs, and bright colors are what makes these lacey sandals special. Metallics and neutrals work in the same way but do entirely different things. Neutral sandals that come in a shade close to your natural skin color (or slightly darker or lighter) give the appearance of an elongated leg. Wearing neutral sandals can give you lovely long legs without the price of wearing a sandal with a heal. Neutral colors also go with anything you decide to wear and can be mixed with metals, brights, and patterns. Metallics work just like neutrals because they can also be worn with anything. My most worn pair of sandals are a rose gold metallic because they seem to spice up anything I wear and I can pair them with any purse, belt, or outfit. A pair of metallic gold or silver sandals are an absolute summer essential and owning a pair will make shoe packing for summer vacations simple and easy. The gladiator sandal trend has been around for a while but with the revival of summer music festivals, gladiator sandals are making an even stronger comeback this year. Pairing simple pieces with knockout gladiator sandals can pull your whole summer look together. Adding a little wild card into your summer sandal wardrobe is a must this season! These sandals really are as comfortable as they look. Running errands? Racing to the pool?Walking home from yoga? Throw a pair of these on instead of your nasty old rubber flip flops. Your feet will thank you and you will look more chic without putting in any extra effort. Flatbed sandals pair nicely with joggers, sporty shorts, and skinny jeans. Owning a pair of fancy flip flops is a must in the summer time. Cheap rubber flip flops have a reputation of breaking and wearing out quickly. Swapping out your traditional flip flops for a more dressed up version will give you a lot more versatility. A pair like these flip flops can be worn to the beach with a swimsuit or pair beautifully with a sweet little sundress on an evening out. 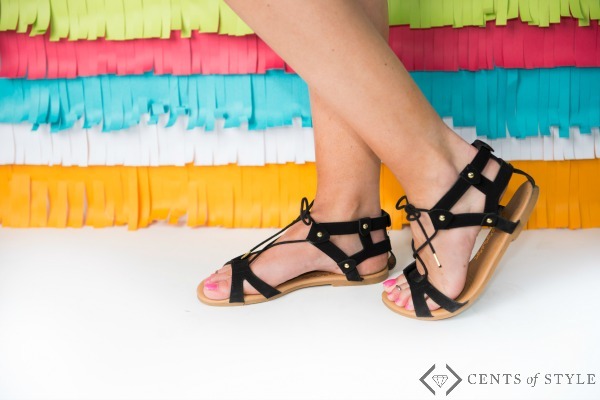 For Fashion Friday, 5/13/16, shop the Cents of Style Sandal Collection for 35% Off & FREE SHIPPING w/code LUCKYSANDAL at checkout! Shop the Sale here: Fashion Friday – 5/13/16 – Summer Sandals for 35% Off (Starting at $9.99!) + FREE SHIPPING w/code LUCKYSANDAL. Keep an eye out for the Lace Up sandal for $22.72, Aztec lace up sandals for $19.47, & our multi-strap sandal for $14.92. And all ship for FREE! Pictured below.